Vision therapy helps children read to their full potential. But even with their reading abilities improved, many lack simple access to books. 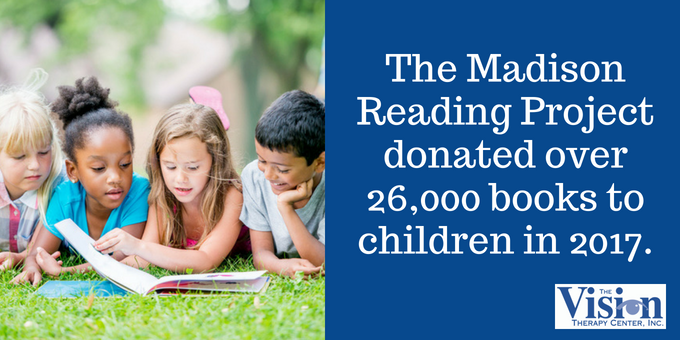 The Madison Reading Project is working to ensure that when kids are ready to read, there is a book waiting for them. With libraries and online content, it’s hard to believe that access to books can be an issue for kids. 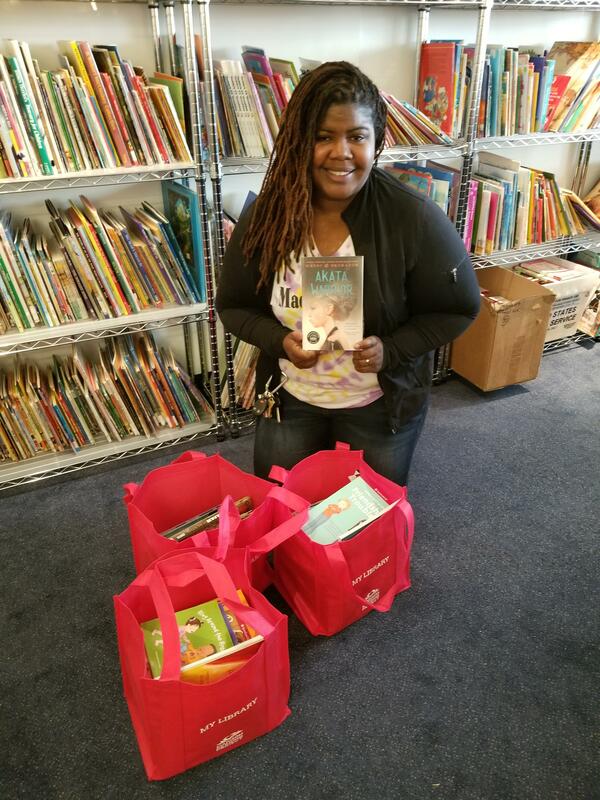 But according to Rowan Childs, Executive Director for the Madison Reading Project, over two-thirds of children living in poverty do not have books at home. “I was alarmed when I saw this statistic, so in 2013 I founded the Madison Reading Project to address low literacy rates among underserved children,” Rowan said. And she’s accomplishing that goal, one book at a time. What Does the Madison Reading Project Do? 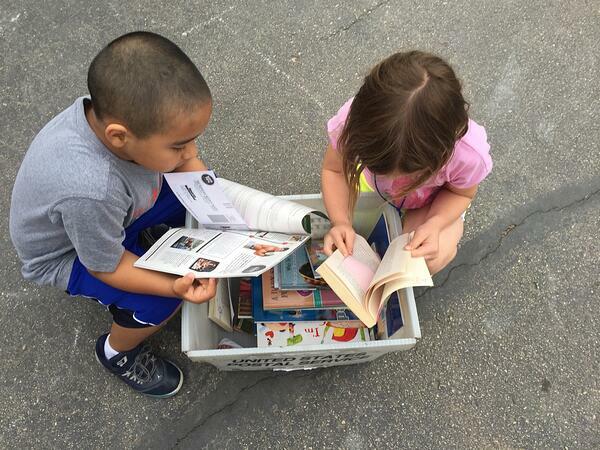 The Madison Reading Project delivers donated books to underserved kids. They work with 65 partners, schools, after-school programs, social workers, and Early Head Start programs to distribute the books. Handing out the books can occur in a big group setting, like a community resource fair, or in one-on-one meetings via social worker partners. In any case, the kids are presented with a wide range of book options and encouraged to pick out books they would like to read. The books are all free. Rowan notes that when it’s voluntary reading, children are more likely to engage with a book and practice literacy skills at home. They’ll also model reading behavior to inspire younger siblings. “The more books you have in the home, the more likely the entire household’s literacy rate goes up,” Rowan said. That’s why the program also provides books for the entire family. For example, a social worker will bring a complete library of 60 hand-selected books on a family visit. They’ll then take the family through a literacy activity and leave the books behind. Why Don’t Kids Just Go to the Library or Read Online? It’s a question Rowan is asked on a regular basis. A library may not be as viable an option for an underserved population as you might think. “Some children might not have the means to get the library -- it may be too far, and the hours might not coordinate with a parent’s work schedule,” Rowan said. The fear of a library fine is also a real worry for a struggling family. If they accrue a $15 fee, for example, they may never go back. Or they may not think they have the proper documentation required to get a library card. You can learn more on volunteering and donating here. Unfortunately for some children, a new book may only be one issue affecting their literacy. Many children are also suffering from an undetected functional vision problem that may be hindering their reading ability. Functional vision is how your entire visual system -- the eyes, the brain, the visual pathways -- work together to help you interact with your environment. When it comes to reading, a functional vision problem can affect a child’s ability to see words clearly, follow text on a page, or process information. These particular types of issues often go undetected by typical vision screenings, and they quite often affect underserved populations, who tend to have more developmental issues. If the Madison Reading Project puts a book in you or your child’s hands, but you find reading is difficult, take a look at our list of symptoms. You may be suffering from a Functional Vision Problem. 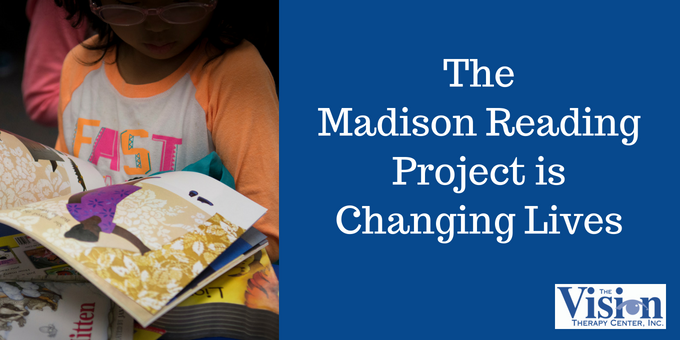 We love this program, and the incredible results the Madison Reading Project is achieving. In 2017, they donated over 26,000 books to children. And their influence is expanding. 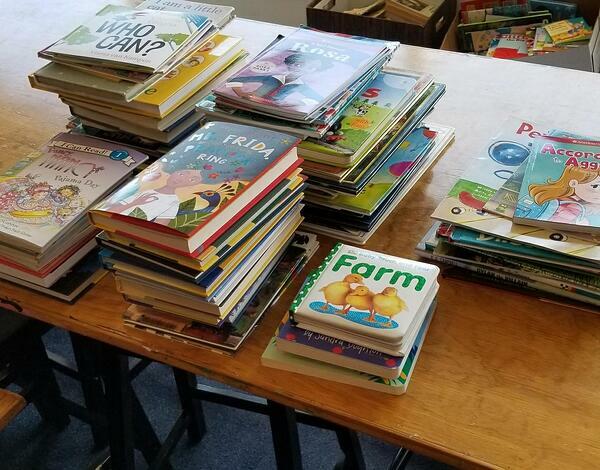 The Madison Reading Project serves the greater Dane County area, but it also has partners in Beloit and Janesville, and around Wisconsin Dells and Baraboo area. “People are hearing about us and contacting us,” Rowan said. Higher literacy rates mean you develop more skills, and land higher paying jobs. It benefits society in multiple ways. Learn more about how you can help the Madison Reading Project help others -- one book at a time.